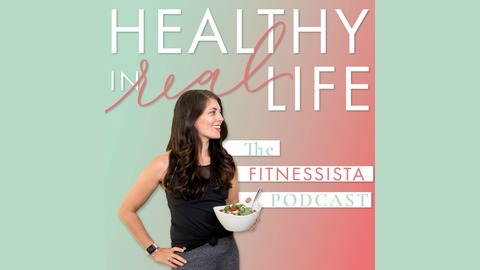 Join author, fitness professional, and healthy living blogger, Gina Harney, as she shares expert interviews and tips that you can implement right now. 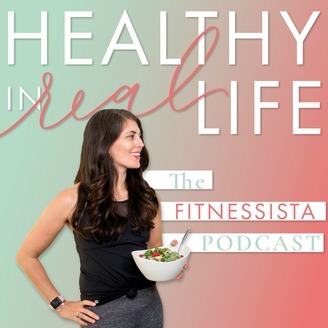 This podcast is health, fitness, nutrition, beauty, and lifestyle advice, delivered by your internet BFF. If you're looking to create your healthiest, happiest life, this is the podcast for you. INSTAGRAM: @fitnessista Shownotes: fitnessista.com/podcast. In today’s podcast episode, I’m chatting with Bethann Wagner from the amazing lifestyle blog, Bethanimal Print. In a past life, I worked in the tech industry, the fitness industry and the fashion industry. Now I blend them all together blogging and vlogging about style, beauty, fitness and wellness on bethanimalprint.com. I believe in sharing life’s authentic moments with you, as I find there needs to be more of that in this social media driven world. When I’m not chasing kids around or hustling through the influencer grind, I’m looking for ways to be more eco-friendly. I’ve recently challenged myself to give up shopping for a whole year. It’s given me more more time for things I really love, like weightlifting, eating tacos (the perfect food), hanging out with my crazy family or sipping on a big ‘ole glass of local red wine. Find Bethann on her blog or Instagram!